I am so excited about this year's holiday card designs! Below are the first three 2009 design options. I will be posting more options soon. It may seem early to start planning for Christmas, but now is the perfect time to start schedule your holiday card session! You can use a photo from a wedding, engagement or portrait session taken at a session from earlier this year on your cards or schedule a holiday photo session especially for your cards. 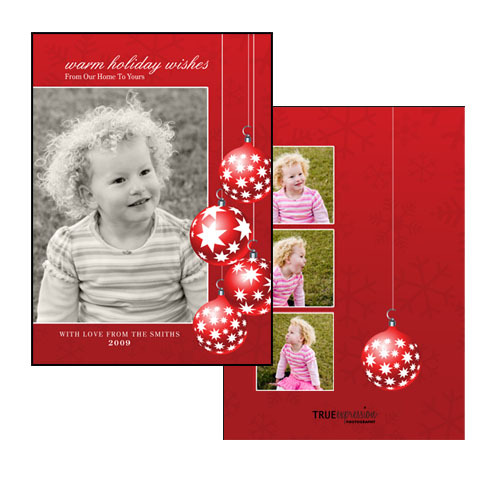 Cards will feature your photo(s) and custom greeting. 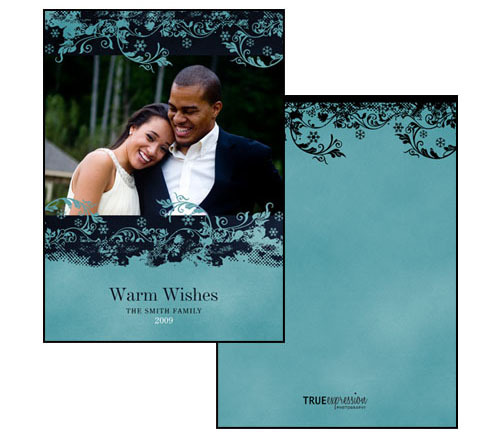 All cards are professionally printed on high quality cardstock on paper style of your choice. Designs are shown for flat 5x7 cards printed front and back. Cards can also be made into folded cards with additional photos or space for you to write a hand-written note inside. Inquire for info on customizing your card design.